You probably don’t need garage cabinets, but you might really want them. While open shelving is less expensive, very strong, and easier to install than cabinets, cabinets offer a more finished look and keep your things out of view. Additionally, when you install cabinets you can potentially keep dangerous items behind locked doors, making your garage safer. 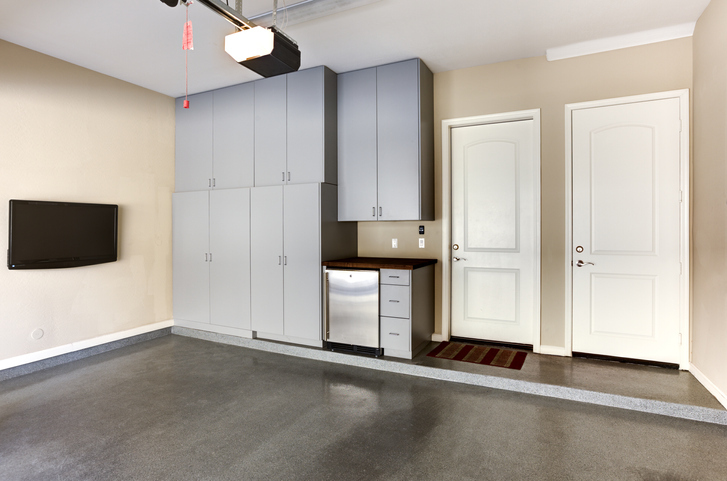 If you’re interested in making your garage look more organized and function more efficiently, cabinets may be for you. Before you jump into this project, however, there are a few things you’ll want to consider. Make a plan that fits your garage. If you’re like most people, your garage is a bit of a catchall for all of your extra stuff. When you’re making a plan, think about why you want cabinets. How much stuff do you need to store? How heavy are these things, and how much room will they require? You’ll want to make sure that the cabinets not only have enough space to store your belongings but also have sturdy enough shelves to withstand the weight of what you’re wanting to store. Do you plan to set up a workshop area, or are you just looking to declutter your garage space? How will you use your garage? Once you answer these questions, you’re ready to move ahead with your project. Sketch out your ideas and in the next step, fill in some measurements. Measure your space. Decide where to put the cabinets, and how much space you have to spare. Will you use base cabinets? If so, you’ll need to allocate floor space. How deep should the garage cabinets be to make the best use of your space, taking into account the things you need to store? Garage cabinets are made in a variety of widths, heights, and depths, so you’re sure to find some that fit your space, but it’s important that you bring accurate measurements with you when you pick out your cabinets. If you’re planning to hang wall cabinets, make sure they won’t interfere with the operation of your garage door. Think about options like rolling cabinets, or cabinets built to fit into a corner, so that you can make the best use of your available space. Consider a purge. Another way to make the best use of your space is to free some of it up before you get started with cabinets. By getting rid of things you haven’t used in a while, you will reduce the amount of stuff you’ll need to store in your cabinets. Think about the garage’s environment. Your garage is not like your kitchen or laundry room, so it will require sturdier cabinets. Think about how much rain and snow come into the garage with your car, and then consider which materials would be sturdy enough to stand up to the environment inside your garage. Decide if you want new or used cabinets. Is your garage utilitarian, or is it a showplace? Do you just want to contain your stuff, or do you want to create the ultimate workshop? Think about the way you plan to use the cabinets, and you’ll be able to easily decide whether you need to buy new cabinets or if reused will suffice. Molded plastic: These cabinets, made of plastic or “resin” are affordable, easy to clean, waterproof, and rust-proof. They’re typically easy to assemble, and you can find units that have lockable doors and adjustable shelves. The drawback of plastic cabinetry is that it may not be able to support heavier items as well as wood or metal. Wood-based: Often, particle board, MDF (medium density fiberboard), and plywood are used to build garage cabinets, often with outer skins made from a laminate or melamine material. These cabinets can be very attractive, and come in a wide variety of styles and colors, but are heavy and susceptible to moisture. Metal: Metal cabinets are the most expensive option for garage cabinets, and for good reason. They’re sturdy, durable, and attractive. Their only drawback, aside from the expense, is that some can be prone to corrosion or rust. Garage cabinets help make a garage more functional, but they’re not essential to the day to day use of the garage. 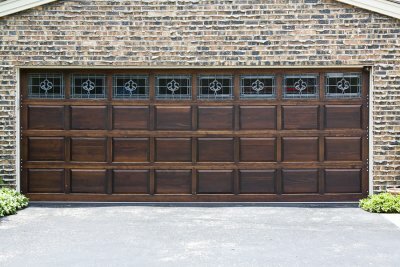 The garage door, however, is a vital component of your garage. It’s important to keep our garage well-maintained, in good working order, so that it doesn’t cause problems in your daily routine. 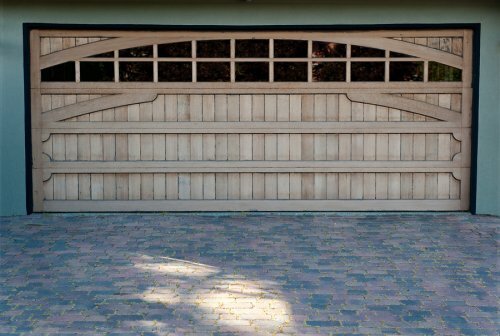 Check your garage door regularly to make sure it’s running smoothly on the tracks and not making any unusual noises. If it needs repairs, have it fixed before a small problem turns in to a big one. If the necessary repairs are extensive, it may be time to consider replacing the door. Whether you need a repair or a whole new door, A1A Overhead Door Company is here for you. Our knowledgeable staff can help you determine exactly what’s needed, and complete your installation efficiently and professionally. Family owned and operated, A1A Overhead Door serves the entire metro Jacksonville area. In fact, we even go up to fifty miles into the outer countries. We are licensed and insured to cover both the client’s property and ours, and we’re proud to work with our clientele and will match or beat any competitor’s written estimate. For more information, you can call 904.579.1123 or contact us through our website. While installing a new garage door in Jacksonville can improve the exterior appearance of your garage, you may still have a cluttered mess to deal with behind the scenes. This video from Thrift Diving provides an overview of some tips and tricks that you can use to keep your garage organized. The first phase of organizing a garage is to move all of your items out of the space. With your garage cleared, you can easily clean and sort through your stuff. To get started on your garage door makeover, plan ahead for a new garage door installation. A team of garage door experts can help you choose a brand new door that perfectly matches the overall style of your home. When you schedule a garage door installation for your home, your new garage door will be equipped with a state-of-the-art sensor system. In fact, federal law mandates that all new garage doors are equipped with safety sensors, which can help to prevent accidents and injuries. During your garage door replacement near Ponte Vedra, take the time to talk to your technician about how garage door sensors work. Here is an overview of what every homeowner needs to know about garage door safety sensors. Garage sensors contain photo eyes. The most common component in any garage door sensor is called the photo eye. A sensor system will be equipped with two photo eyes, which are placed at opposite sides of the garage door opening. When the garage door is in operation, the photo eyes will make sure that the door’s path is not obstructed. 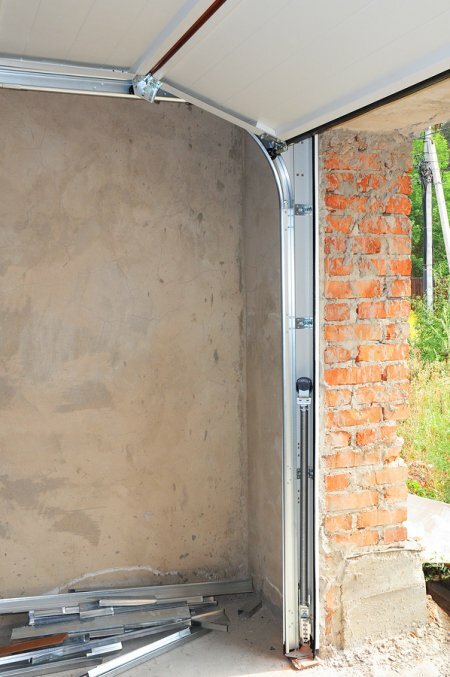 If the photo eyes are unable to make contact with one another, they will automatically halt the garage door’s closing mechanism until the blockage has been cleared. Garage sensors protect your safety. Without a garage sensor, your garage door would have no way of detecting whether a person or object is in its path. The invention of the garage door safety sensor has made garage doors much safer for residential use. In the event that a child, pet, or object is in the path of the moving garage door, the sensor system will ensure that the garage door does not shut and cause injury. It is important to note that, like any other mechanism, garage door sensors are capable of malfunctioning. One of the most common causes of garage sensor issues is a misalignment of the photo eyes. 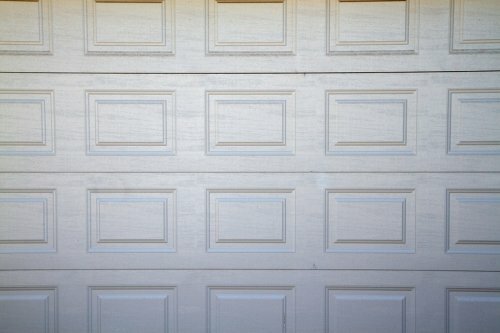 If one of the photo eyes gets pushed out of alignment, it will no longer be able to make contact with the other side of the garage door. When your garage door sensor starts to malfunction, check to make sure that the photo eyes are not experiencing issues. A broken garage door opener can have a major impact on the convenience of your daily routine. If you are unable to use your garage door remote to open and close your door, you may be forced to exit your car and manually open your garage when you want to enter your home. A company that offers garage door services near Jacksonville can provide you with the garage door repairs that you will need to fix your malfunctioning opener. To highlight the benefits of setting up professional garage door repairs, here are some troubleshooting tips for your garage door opener. In many cases, garage door opener issues originate in the remote. If your garage door remote is low on battery life, it may not be able to send a strong enough signal to the opener. To inspect your remote, you can open its case and remove the batteries. In the even that a new set of batteries does not resolve the issue, your garage door opener problem may have a different cause. Your garage door opener’s motor unit is the part that is responsible for moving your garage door up and down. When replacing the batteries in your remote does not solve your problem, you can move on to troubleshooting the motor unit. To check on the condition of the motor unit, you will want to inspect its electrical outlet. An overloaded outlet may cause your opener to stop working. Today’s garage door openers are equipped with sensor beams, which are designed to prevent the door from fully closing when an object is detected in its path. A garage door that only opens and closes part of the way may have faulty sensor beams. 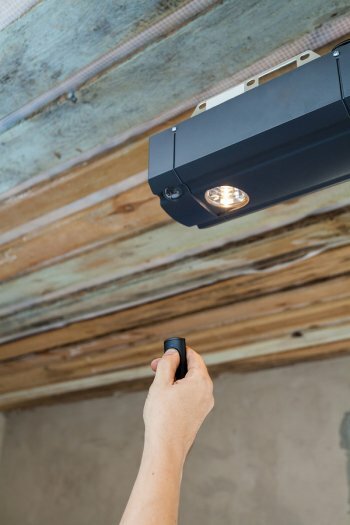 To test the garage door sensor beams that are connected to your opener, check to make sure that the sensor lights are on and pointed in the direction of your garage door. When you are shopping for a new garage door near Amelia Beach , you may encounter certain terms and phrases that may seem unfamiliar. R-value, for example, is a common term that is used to measure the insulation of a garage door. 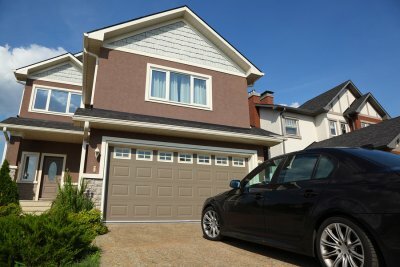 To ensure that your new garage door installation offers the proper level of insulation, you will need to shop for a product that has a high thermal value. In its most basic sense, the R-value of a garage door is a unit that measures its resistance to heat flow. A new garage door that has a high R-value will offer better thermal resistance, which will help to improve the energy efficiency of your garage and your entire home. If you want to make sure that your garage door remains securely insulated when you are using your HVAC system to heat or cool your home, you will want to shop for a product that has an R-value of R-12 or higher. Garage doors with R-values of R-8 or lower offer very little insulation. Garage door repair companies in Fernandina Beach, FL spend years developing their skills, learning their industry, and hiring competent employees. Taking on a garage door repair isn’t necessarily a good idea for the average homeowner, as these individuals don’t have the training and experience necessary to get the job done safely. This type of fix can be dangerous if you don’t know exactly what you’re doing, and it can result in a faulty door, a bad injury, or even death. Keep reading if you’d like to learn a little bit about the dangers of garage door DIY. Your garage door is probably one of the largest appliances you own, and it can be dangerous in quite a few different ways. When it comes to garage door repairs, many homeowners have suffered serious injuries performing what they thought would be a simple task. The springs that help your garage door operate efficiently are under an extreme amount of pressure. When you tamper with these springs and the pressure is accidentally released, it could mean bad news for your safety. If you think you might need garage door repair, always call the professionals rather than attempting to take on the project yourself. You won’t want to wait any longer than necessary to call the experts for garage door repairs in Amelia Beach, FL. The longer you wait to have your garage door repair company come and address the problem, the worse the problem can get. If you want to stay ahead of the game, you should know what kind of indicators suggest that you’re in need of repairs. Your door might get stuck in one position, it might fall down, or it might make strange sounds when you operate it. Here’s a closer look at a few signs that now is the time for garage door repairs. Knowing when you need garage door repairs is half of the battle, and knowing how a garage door is supposed to work will help you identify problems. Your door should open and close smoothly and easily with your garage door opener. If yours sticks when you try to raise it or lower it, it might be time to call the garage door repair company. You don’t want to find yourself late to work because your car is stuck behind a garage door that won’t open. 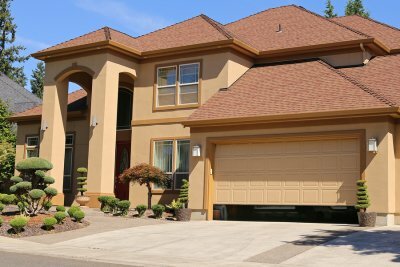 One sign that it’s time for garage door repairs is a particularly dangerous one, and that’s when your door falls down on its own. If your door won’t stay up when you open it, you should call the garage door experts as soon as you can. This creates an unsafe situation, which can be extra scary if you have pets or small children at home who might not be able to react to a falling garage door in time. 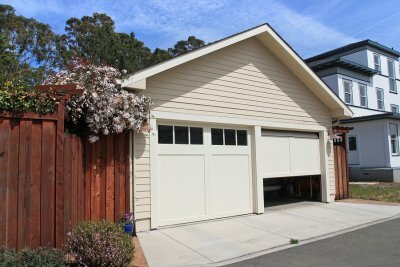 Screeching and grinding sounds typically mean it could be time for garage door repairs, or at least time for maintenance. These sounds suggest that the moving parts of your garage door system aren’t working together properly. In some cases, you just need a little bit of lubricant to slicken up the mechanical components, but in others you might need to call the pros for a more in-depth repair. Your garage is a main entry point for your home. While your garage allows you to easily access your interior spaces, it may also be a targeted area for thieves and other criminals. A company that provides garage door installation in Jacksonville can provide you with a new garage door that is equipped with the latest security features. With a new garage door installation, you can rest assured that your property is fully protected against burglars and other invaders. Read on to learn all about why a closed garage door is a smart defense system for your home. When a criminal is casing your neighborhood, he or she will be looking for homes that offer easy break-in points. Leaving your garage door open will tell a potential burglar that you are not paying attention to the security of your property. By shutting your garage door, you can send the message that you are committed to protecting your household against crime. As you are shopping for a new garage door, you will want to find a garage door that provides you with added safety features. For example, your new garage door can be equipped with an entry keypad, which can only be opened with a secret code. Your garage door experts can also include other security features, such as extra locks, with your garage door installation. Burglars and other criminals are not the only forces that you will want to keep out of your house. If you happen to leave your garage door open, you may invite rodents, insects, and other nasty invaders into your property. Keeping your garage door closed is an effective strategy for making sure that your house does not experience a sudden rodent infestation. A garage door company will be able to provide you with additional information about the importance of keeping your garage door closed and secured. A new garage door installation can completely transform the look and appeal of the front of your home. To make sure that you are totally satisfied with your new garage door, it is important to make sure that you pick a door color that fits in with the theme of the rest of your house. Your garage door installers can provide you with essential tips and information that will help you pick out the perfect color for your garage door. To help you gear up for your garage door installation, here is a look at the dos and don’ts of picking a color for your garage door. A foolproof way to choose the right color for your garage door is to match the paint color on your garage to the main paint color of your home. By matching your garage doors to the rest of your property, you can make sure that they blend seamlessly in with your home’s overall exterior. If you do not want to paint your garage door the same color as your house, you may want to consider matching your garage door paint to your home’s exterior trim. When you paint your garage door in the same paint color as your window and front door trim, you can create a visual harmony between your garage door and your home’s other exterior elements. In most cases, it is not advisable to paint your garage a color that is different from the other paint colors on the exterior of the home. If you choose to paint your garage in an unusual color, you may break up the continuity of your home’s exterior. An unusual or currently trending bold color may also eventually start to look dated over time. For the best results, you will always want to choose a garage door color that is matched to your home’s existing paint. Why Choose an Aluminum Garage Doors. Aluminum is one of the most commonly used materials for new garage doors . When you are gearing up for a garage door installation in Ponte Vedra, you may want to ask your garage door experts about the advantages that an aluminum garage door has to offer you. Since aluminum is relatively lightweight and inexpensive in comparison to other garage door materials, it is a terrific option for your garage door installation needs. As you are shopping for a new garage door, there are several reasons why you may want to consider purchasing a door that has been crafted from aluminum. Since aluminum is lighter than other materials, such as steel, it can help to ensure that your garage door opener operates more efficiently. Aluminum is completely resistant to corrosion, so you can also rest assured that your garage door will not rust over time. Finally, aluminum is a fully recyclable material, making your aluminum garage door an eco-smart choice for your home.